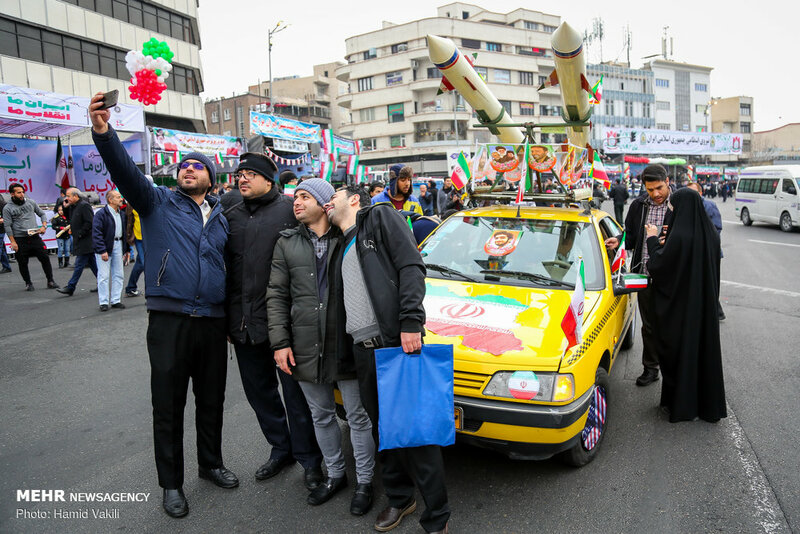 Iran celebrated the 40th anniversary of its revolution on Monday, with people marching to honour an unexpected victory that birthed the Islamic Republic. 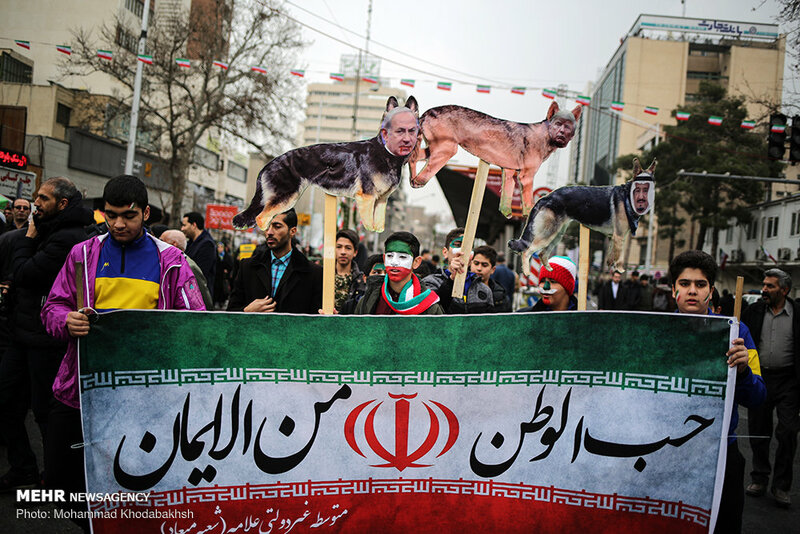 Packed crowds of Iranians were on the streets in Iranian cities to commemorate the sweeping away of the US-backed rule of Shah Mohammad Reza Pahlavi, defying a prediction that few in Iran are in celebration mood considering rising unemployment and inflation exacerbated by US sanctions. In his speech to a conference of the Mujahedin-e Khalq Organization (MKO), the notorious group behind biggest terror attacks in Iran, Bolton also said they would hold celebrations in Tehran before 2019. Even at that time, the statement appeared more like a case of wishful thinking. In fact, the US politicians have long been talking of the Islamic Republic’s imminent demise. The US pressure campaign against Tehran was launched just months into the revolution, after US officials were convinced the Islamic Republic was not something they could stand. Western governments could live without Iran’s petrodollars and its highly profitable economic opportunities, but they couldn’t afford to see Mideast people ruled by similar dictatorships to follow in Iranians’ footsteps and copy this model in the region’s oil kingdoms. Throughout the years since the 1979 revolution, US officials and their propaganda mouthpieces have periodically asserted the Islamic Republic is merely months away from collapse. In fact, Bolton’s friends at MKO are a big victim of such mentality, losing thousands of forces in a plainly ridiculous operation to take Tehran and other Iranian cities in 1988. Before them, the former Iraqi dictator Saddam Hussein had tried to bring an end to the Islamic Republic in weeks, taking advantage of Iran’s post-revolutionary chaos in the 1980s. However, despite generous financial and arms support provided by wealthy Arab governments and the west, the Iraqi war machine failed to achieve tangible achievements after eight years of relentless war. 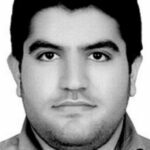 The last time we were told the end is near for the Islamic Republic was 2009, when allegations of widespread fraud in the presidential elections that year ignited street protests in Tehran and other cities. Such claims could hardly be credible, as the victor, Mahmoud Ahmadinejad, had won by an 11-million lead over his nearest rival and it was impossible for him to collude with hundreds of thousands of election organisers to steal so many votes. But facts were no important to western media and politicians, who portrayed a nation tired of the revolution which had stood up to finish off a decaying regime. For a few months, the uprising was heroically advancing, and the so-called Green Movement was to take over the country soon. However, despite the hopes of overexcited commentators in the western press, things didn’t go as their audience would have expected. With the predictions of the western dreamers proven untrue, then US president Barack Obama appeared to start admitting the reality about Iran, beginning with the recognition of Iran’s right to peaceful atomic energy. The Obama administration concluded the nuclear deal with Iran and exchanged prisoners with the country, believing that the experience of decades of US hostility towards Tehran provided the Iran problem is not just another nail to be tapped by the strong US hammer. Then Donald Trump came to power and pulled out of the nuclear deal, alleging that his predecessors had not been tough enough with Tehran, mocking Obama for being too soft on Iran. People inside the new US administration claimed there are many parallels between Iran and the former Soviet Union, believing the current president could play a part similar to former president Ronald Reagan by taking an uncompromising position towards Iran. Soon, western governments’ propaganda mouthpieces took up the Soviet analogy as their watchword and started repeating a nearly forgotten mantra: Iranians want change. The narrative was set up skilfully: Iran’s youth, particularly the army of the unemployed, have been hit hard by the economic downturn and other challenges and are fed up with a regime full of mischief. The western mainstream media’s audience were endlessly told that Iranians have grown wary of the regime’s corruption and are yearning from within for transformation. According to this narrative, the US and other western governments have a humanitarian duty to intervene and help Iranians realize their hope. Before the 40th anniversary of the revolution, western media were publishing mountains of commentary and strident headlines raising the familiar theme of Iran’s need for change. Reuters ran the story of a former judge who is frustrated with the revolution; the Daily Telegraph remembered “horrors” of the post-revolution Iran; and Bloomberg asserted Iranians have endured 40 years of “terror, deprivation and cruelty” under the Islamic Republic. Moreover, the Wall Street Journal said the Revolution has failed to fulfil promises; The Washington Post believed the “decaying” Islamic Republic is “showing its age” and the Christian Science Monitor claimed the country has reached a turning point. Likewise, Financial Times reported many of those born since the 1979 Revolution want reform, France 24 quoted an expert saying the Iranian state represses its people and deprives them of the country’s wealth, and Deutsche Welle predicted the Islamic Republic is likely to be toppled in the near future. But the noisy celebrations on Monday showed once again that the stories by narrated the dreamers in the western press and fantasies woven by hawks in the US government have little to do with reality. The case was too big to ignore, and the western agencies had no choice but to cover the celebrations, although they sought to play down the annual event. 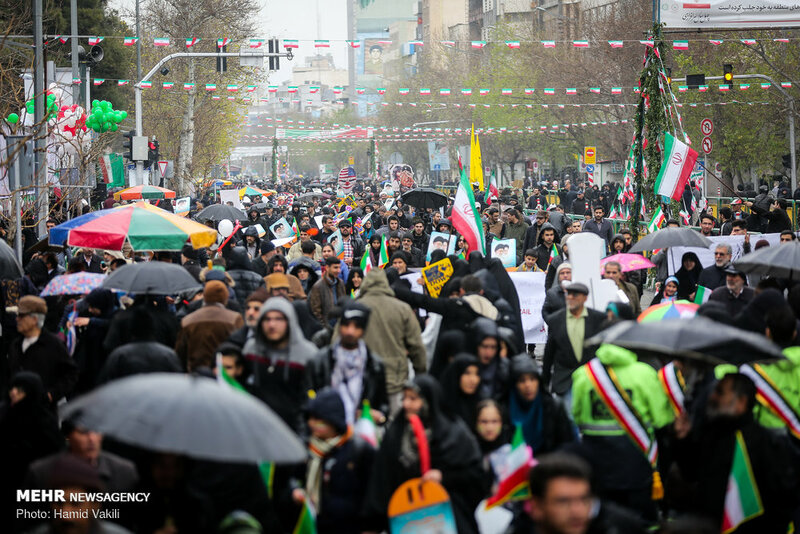 The celebrations were frequently referred to as “state-organized” marches that saw tens of thousands or at best hundreds of thousands of people in Iran’s 31 provinces in attendance. The reaction of the US government was even more interesting. 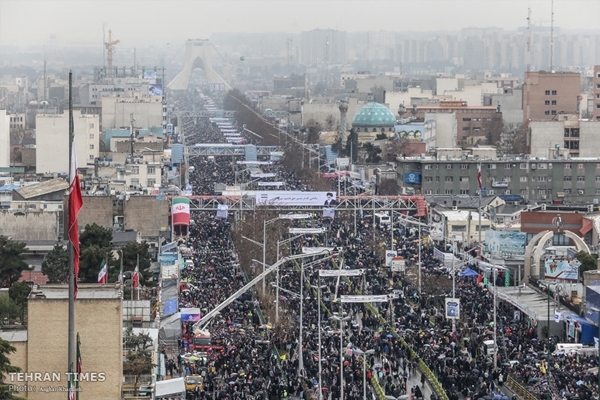 Presumably, the size of crowds in the February 11 celebrations could be the first indicator of the success of the so-called “maximum pressure” campaign, designed to bring Iran to its knees. They seem to be convinced that the Iranian government is vulnerable to collapse and tough US sanctions could hasten its demise. But Iran has been under sanctions for over forty years. Why should we believe the new round of US sanctions will bring a collapse of the Islamic Republic now? The reason why the Islamic Republic survives such undue pressure is a story for another day, but it seems safe to conclude that the current US pressure campaign is doomed. There is no doubt that the Iranian government faces a series of unnerving domestic and foreign challenges. But the 40-year-old Islamic Republic is different from the one that emerged in 1979. Iran has now secured itself, boosted its regional influence and established a buffer zone between its borders and hostile powers. It has grown domestically, too, trying to keep up with a dynamic society. More importantly, many Iranians are now convinced they have to stand on their feet and bear US pressures, having experienced first-hand that the US is a hopeless case.